Livingston Volunteer Fire Dept. sent 3 fire engines and a team of firefighters. Fire Totals House on Mouse Brown Road, LIVINGSTON, January 11, 2011 - A house located near FM-350 South was totaled in an early morning fire. According to the homeowner (James Robert Austin, 58), he put wood into his wood burning stove at around 6 am. Austin then went and laid down to watch television. 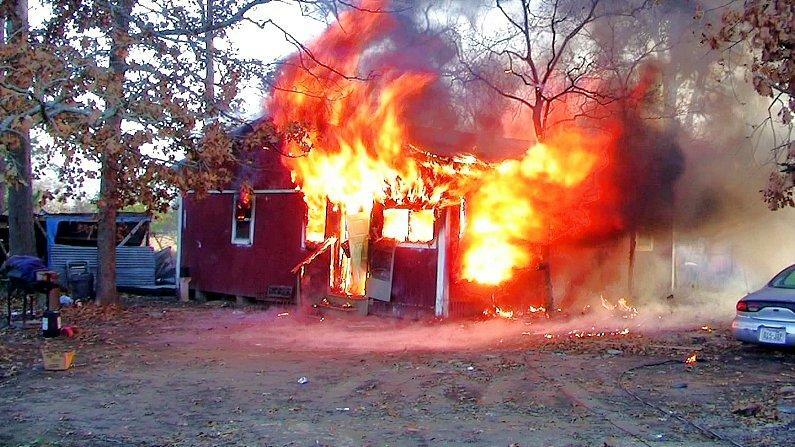 Shortly before 8 am, Austin smelled smoke and got up to find the area of his wood burning stove on fire. The house was located at 285 Mouse Brown Road. A call was placed and Livingston Volunteer Fire Department arrived with 3 tankers and a team of volunteer firemen. 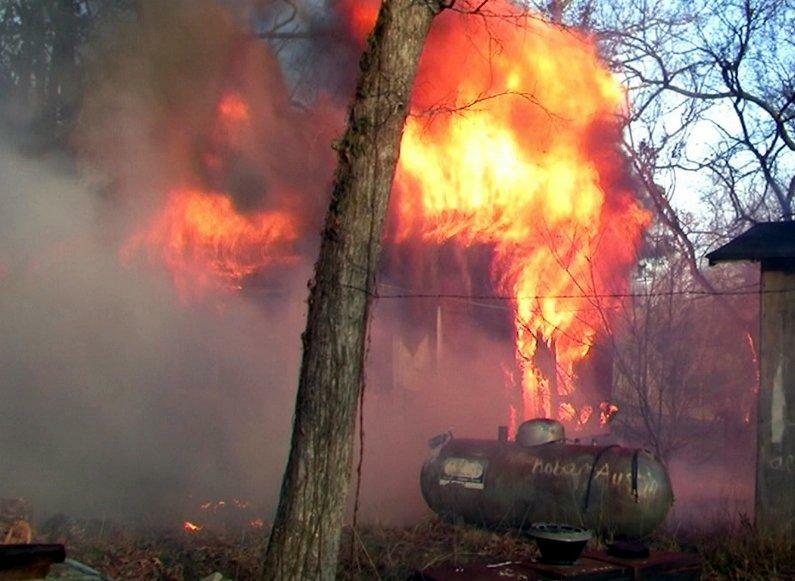 The front of the house and the back of the house were engulfed in flames. Deputy Larry Pitts with the Polk County Sheriff's Office arrived and conducted an initial investigation before turning the case over to Polk County Fire Marshal, Jay Barbee. 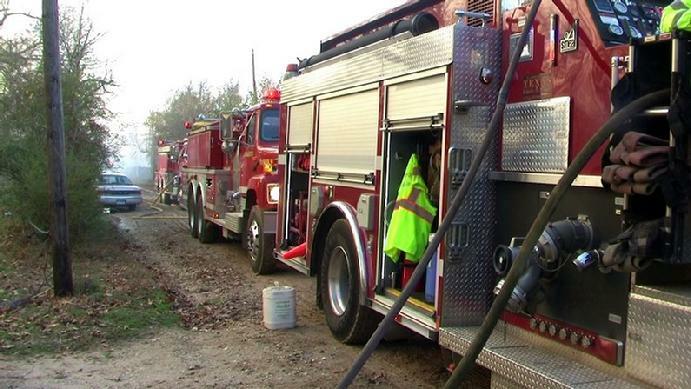 Fortunately, nobody was injured and the fire was completely doused by 9am. The house appeared to be completely burned out and appears to be totaled. James Austin did not have homeowner's insurance. Special thank you: Ken from Ken's Towing and Stash Anderson. Click this image for footage from the scene. When firemen arrived, the interior of the home was engulfed in flames. The backside of the house looked equally as dire. 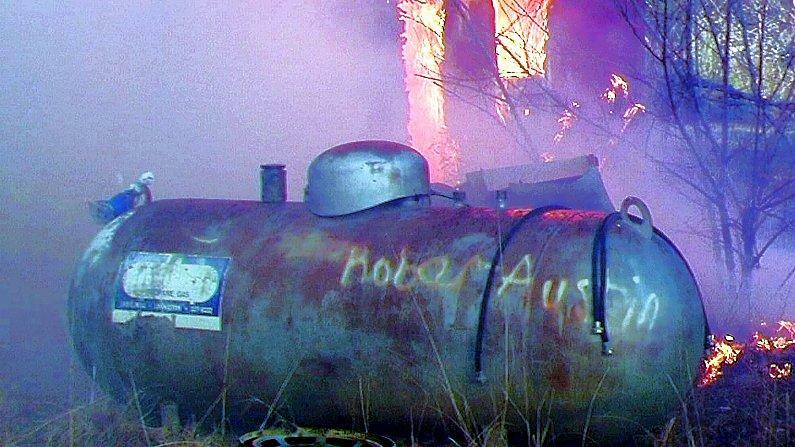 An area of concern was the nearby large propane tank which, fortunately, didn't ignite. 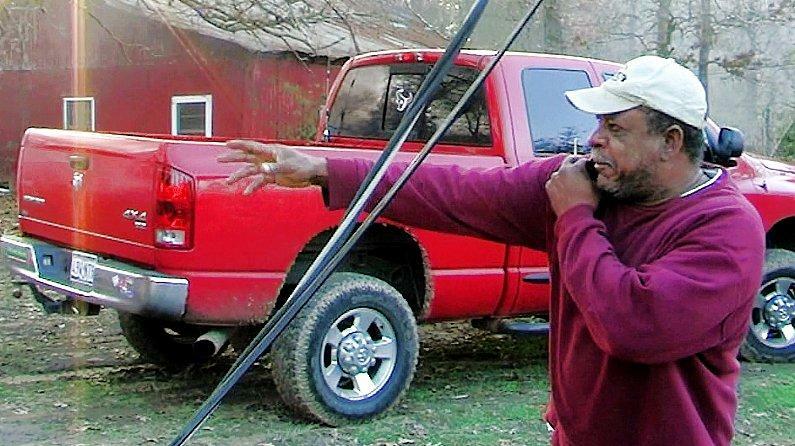 Homeowner Robert Austin can only watch as his uninsured home burns down. 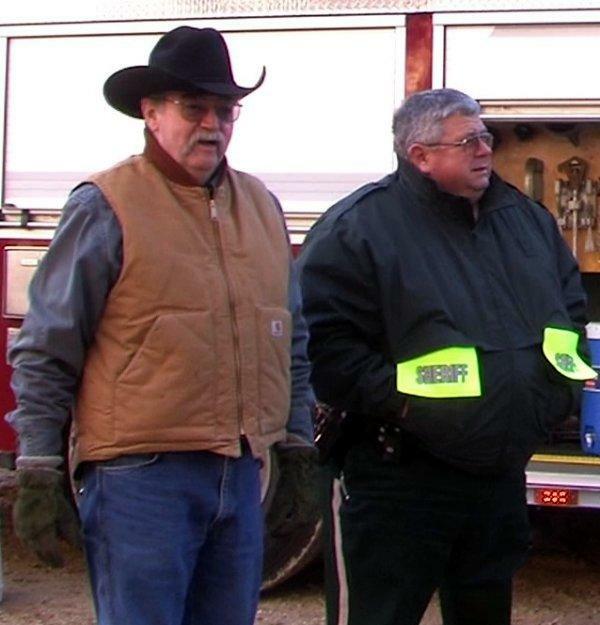 Goodrich Fire Chief Ken Hambrick (left) helped extinguish the flames, Deputy Larry Pitts (also pictured) conducted a preliminary investigation.